In honor of the men and women of the armed forces of the United States who served in the Vietnam War. in the order they were taken from us. 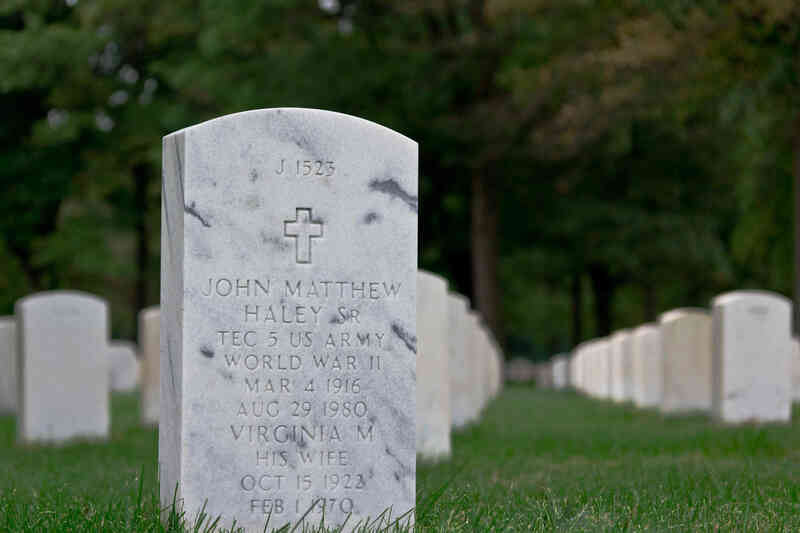 Jimmy Haley was 13 years old when a U.S. military officer knocked on his front door. He says he can still hear his mother loudly crying out, “Oh no,” when the officer said her son, John Haley, Jr., had been killed in Vietnam. That was September, 1967, and Jim Haley, now 57, cannot mask the pain of that day. “The Haley family was never quite the same after that one tragic day in 1967,” Jim once wrote in a letter to the Courier Post newspaper. Jim is an intelligent, sensitive and emotional man who deeply cherishes his family. They support him lovingly – and over 40 years later, so does the little town where he lives today, Runnemede, New Jersey. 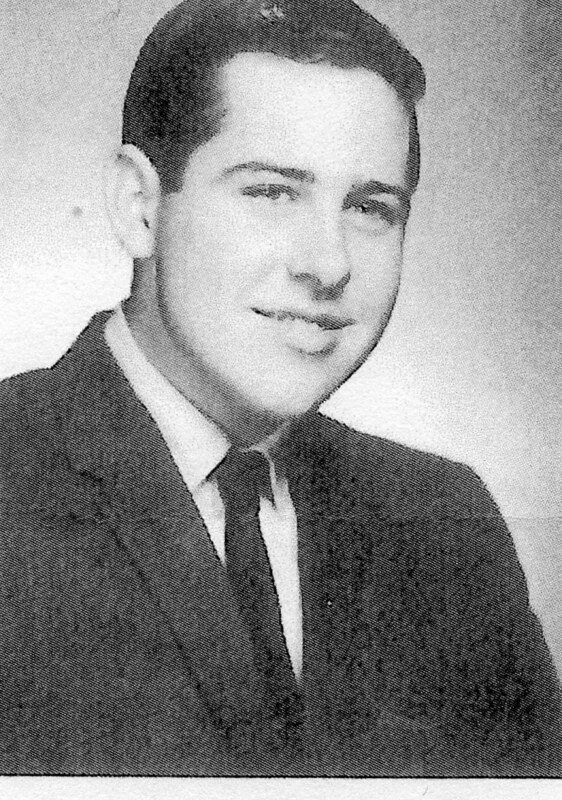 John Haley as he appears in the Triton High School Class of 1966 Yearbook. John Haley was taken from us two weeks short of his twentieth birthday, but he left powerful memories that keep him alive in our hearts. The pain and sadness never go away, but those memories nurture our caring for one another, allowing perhaps more intensity and intimacy in our important relationships. John could only be taken from us if we allowed his memory to die. Good families and good communities help us keep him alive. I knew John Haley, although not well, growing up as kids together. While we lived two blocks apart and spent eight years going to St. Teresa’s in the 1950s, John was more rough-and-tumble than I was. Fittingly, he was attracted to the U.S. Marine Corps machismo and tradition. For me, the Air Force was just fine. I knew John to be a fearsome pitcher in the major leagues of Runnemede’s Little League. No one happily went up against him. His brother Jim said John would have him shagging balls when he hit batting practice on the big American Legion field. “He had me out on the railroad tracks on the other side of the fence line. He was really strong,” Jim says. “I stunk,” he adds, not considering the seven-year age difference in such a comparison with his revered big brother. 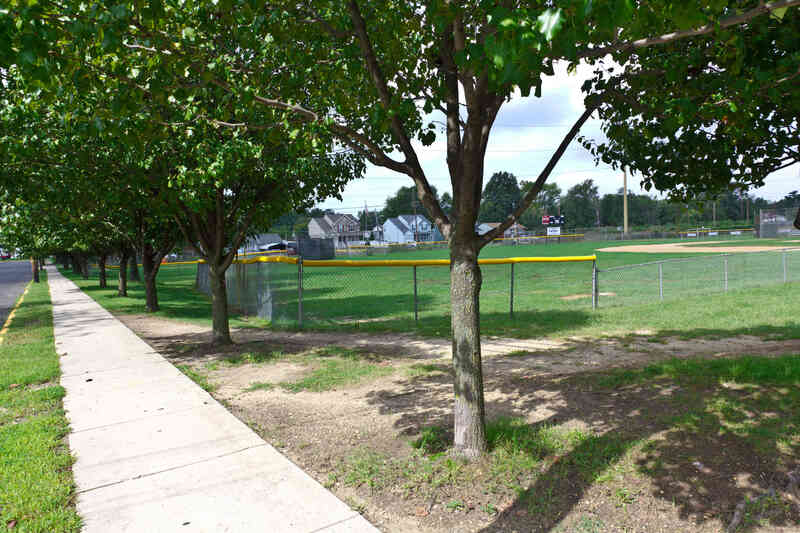 The Runnemede Little League field (September 2011) where John Haley honed his competitive skills -- and where his mother worked the concession stand. “I hung around a lot with John. He was a jokester, always telling stories and jokes and laughing. “His mom was a sweetheart, always over at the Little League concession stand working with the other ladies. A Runnemede Marine who “signed up for Vietnam” died of shrapnel wounds last Friday when 140-mm Vietcong rockets crashed into six billets at the Leatherneck’s 4th Logistic Command post five miles from Da Nang. The Marine was Lance Cpl. John M. Haley Jr., 19, son of Mr. And Mrs. John M. Haley, of 12 W. 7th Avenue in Runnemede. In the attack 38 other Marines were wounded. Lance Cpl. Haley enlisted on Aug. 26, 1966, taking basic training at Parris Island, S.C. He graduated from Engineers School at Camp LeJeune, N.C. last February. After a stay at Camp Pendleton, Calif., he was sent to Vietnam on July 6. Cpl. Haley was assigned to the 4th Fleet Logistic Command at Phu Bai, and worked as a repairman on bulldozers, cranes and other heavy equipment. A graduate of Triton Regional High School in June 1966, Cpl. Haley worked as a pressman in a hosiery mill until his enlistment. The Haleys have two other sons, Lawrence, 16, and James, 13. 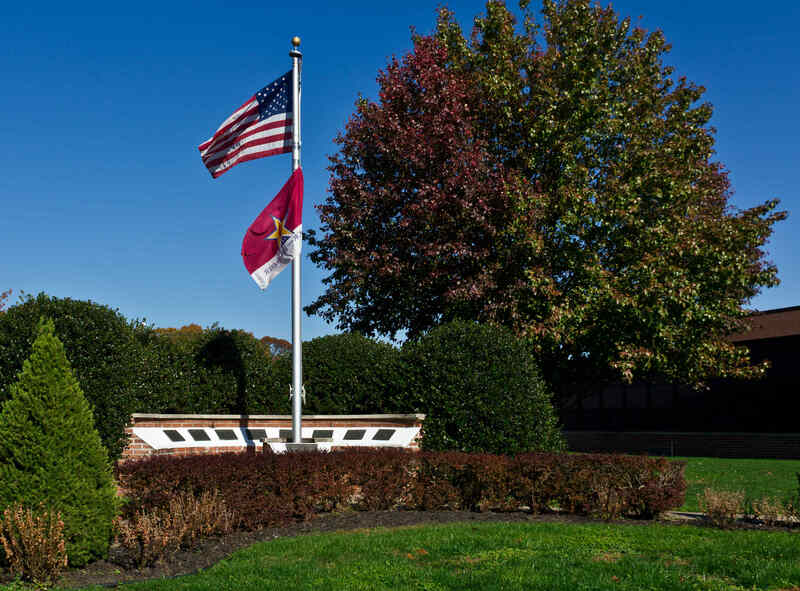 John's gravesite at Beverly National Cemetery, Beverly, NJ. The following Wednesday, September 13, 1967 a Requiem High Mass at St. Teresa’s in Runnemede celebrated John’s life. Jim Haley says all he can remember is a huge crowd of people and very respectful treatment on the highways as the throng of cars made their way to Beverly National Cemetery for burial. A couple of months ago I decided to find out more about John’s life and what happened to his family. What I’ve learned is a real lesson in the power of remembering in a caring community. I dropped by the little house on W. 7th Avenue first, but apparently no Haleys have lived there in a long time. The current owner bought the house last summer and is busily remodeling the 1920’s era home. On the off chance someone at the VFW might know something I walked over there – it’s just across the Black Horse Pike and behind the hosiery mill building where the newspaper said John worked after high school. Folks at the Runnemede VFW knew a lot more than just something. 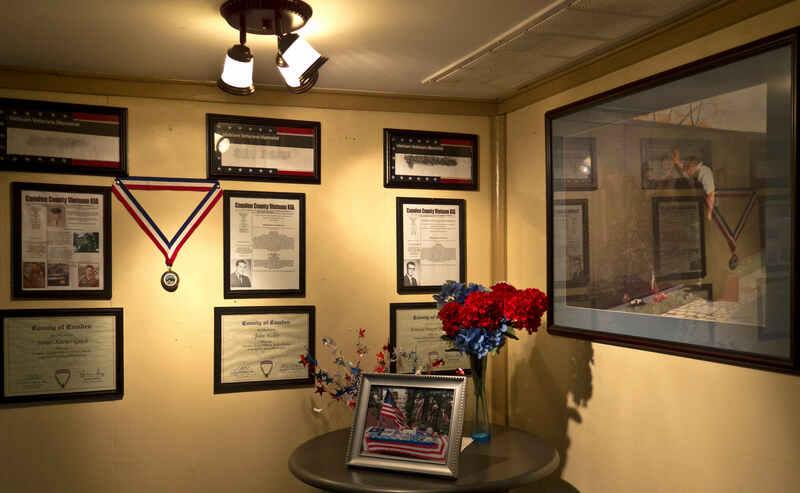 Memorial display inside Runnemede VFW Post 3324 commemorates the three borough residents killed in the Vietnam War: James Gilch, John Haley and Francis Hayes. They have a memorial wall inside the building for the three men from Runnemede who died in Vietnam: John Haley, Francis Hayes and James Gilch. When I asked if anyone knew how to find John’s family, they not only said yes, they told me exactly how to get to Jim Haley’s house – and what kind and color of car would be parked in front of it. I’m guessing the VFW folks called the Haley’s to tell them I was coming. When I knocked on the door, Jim’s wife opened it and asked me to come right in. She didn’t seem surprised. Jim was sitting in his recliner looking over the day’s mail, and I was stunned when I saw him. “You look just like John,” I blurted out. 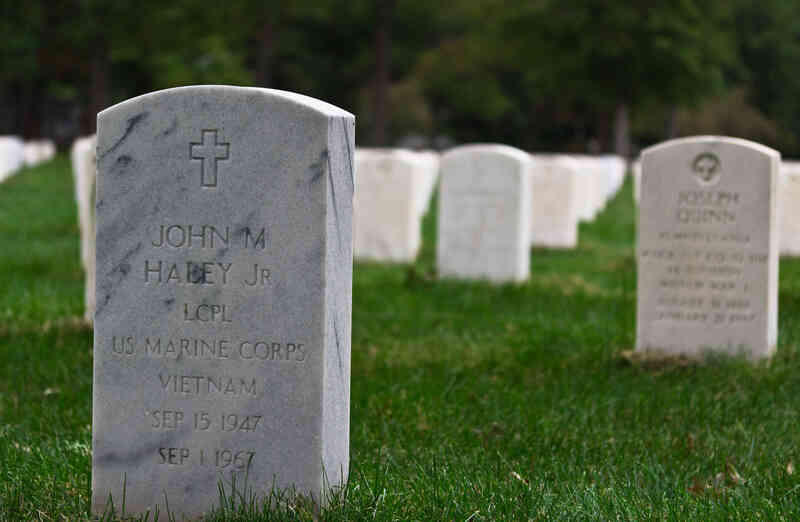 We agreed to meet a couple of days later to talk about John and the Haley family. South Vietnam’s war was in more turmoil than usual just before John’s death. The U.S. was propping up a government there, and presidential elections were scheduled for Sunday, September 3, 1967. This exercise in democracy seriously threatened the Communist opposition. It prompted the Viet Cong, the guerrilla resistance arm of North Vietnam to threaten and carry out numerous retaliatory attacks on Americans – to teach us a lesson, I guess. Attacks were escalating all over the country, and John’s death was apparently a result of one of those actions. The VC sent rockets into the living quarters of John’s unit, no doubt to inflict maximum pain on the American people back home. Destroying an armored personnel carrier or an aircraft may be militarily effective, but killing and wounding the soldiers sends a message to the families back home. John Haley’s family took the full force of that message. Runnemede's tribute to all its military veterans who served the country in uniform. The day I talked with Jim Haley, his family had gone out so we could be alone. Talking about John is not easy for him. Jim told a lot of stories about their father, John Sr. There was a lot more to say about the father, of course; he’d had a lot more life. But also, father and son were apparently so alike – talking about his father was really Jim’s way of talking about his brother. John Haley, Sr., Jim says, was a true character. “There are so many Jack Haley stories,” he says. Originally from southwest Philadelphia, he had enlisted in the Army in the mid-1930s. He was discharged in Washington, DC on December 6, 1941, the day before the Japanese attack on Pearl Harbor. Rather than clearing out and going back home to Philadelphia, he hung out with his buddies and they went out for a night on the town celebrating his discharge. The next day he was still in the barracks, and the Army told him the discharge was nullified – he was now in for the duration. John Sr. was a ground vehicle mechanic in the Army – just as his son John Jr. would be 25 years later in the Marine Corp. Jim said his dad was a “Sgt. Bilko type,” always with some scheme going on. He hated bugs and rodents and refused to sleep anywhere he thought they might get to him. A favorite bed was atop the canvas cover over the back of military trucks. He lived that way campaigning through Europe for the all of World War II. John had met Virginia while he was stationed in DC, and they were married. After the war they came back to Philadelphia and eventually moved out of what he thought was a bug-infested row house to live in the comfort of a detached, single-family home on 7th Avenue in Runnemede. 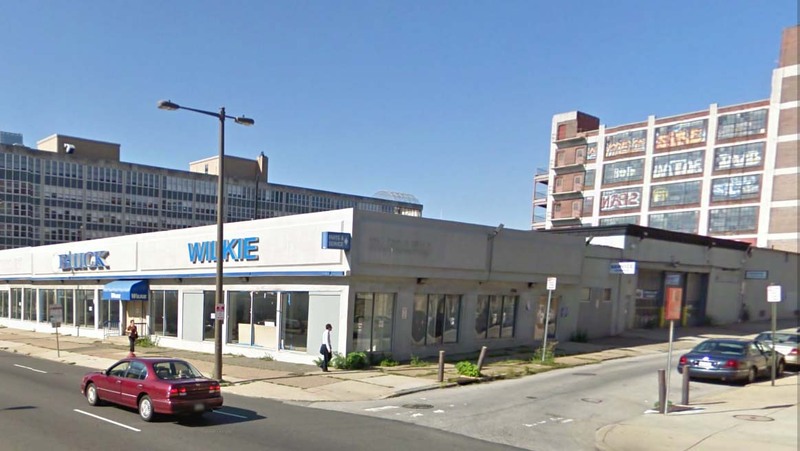 Once a mechanic, always a mechanic, and John spent most of his working life as a mechanic at Wilkie Buick on North Broad Street in Philadelphia. He and Virginia generously gave their time to the community – John with the Runnemede Volunteer Fire Department and Virginia with the Little League Auxilliary. That’s how life was lived in Runnemede in those days – families were paramount, and the adults gave their all to make sure life was sweet for the children. Gravesite of John's parents, Virginia and John Haley Sr. This is the reverse side of John's grave marker. The three are forever together. As Jim Haley told stories like that about his father I think we both felt they created part of a life his brother John never got the chance to have. As VFW Commander Bill Sampolski had said, “John was a jokester,” and we can all see him in life doing those sorts of things, like father, like son. Now, when I hear a funny story or a great joke, I know John is there with us. 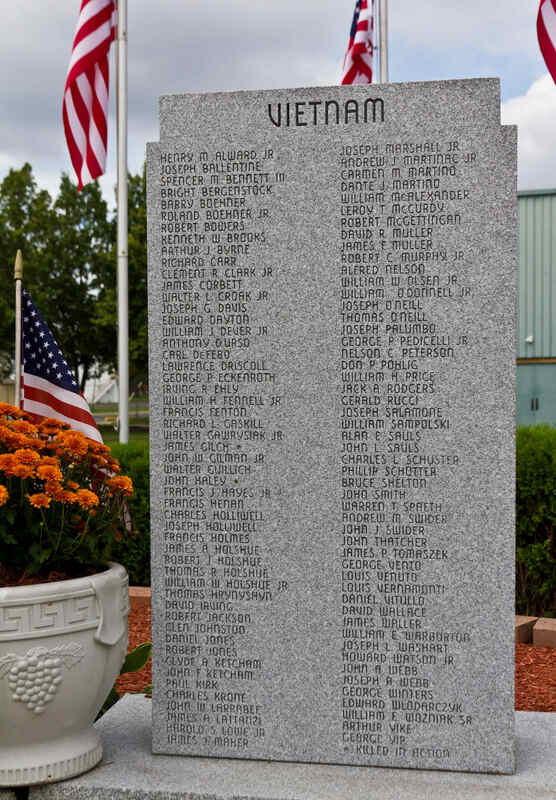 Runnemede's tribute to those who served in Vietnam from the borough. In losing John, the family did not have the privilege and comfort of privacy. It was public, and the government and press and seemingly the world were fully involved. Government is not a sensitive, caring entity. Jim still feels the sting of impersonal communications from the government. The telegram telling of John’s death takes up only a couple of sentences with how and when it happened. All the rest is bureaucratic details of how much expense money would be paid depending on various burial options, how the body would be transported and escorted, etc. A letter from President Lyndon Johnson was machine typed and signed, Johnson likely never saw it, since 460 U.S. troops were killed that month. Jim seems to resent the insincerity of that. Years later, after the war was officially over, an unsolicited letter arrived from President Jimmy Carter. Even more impersonal than the Johnson letter, Jim seems to think it may have had something to do with Carter’s presidential campaign – a powerful irony given that John likely died from opposition to a South Vietnamese presidential election. The memorial at Triton High School to remember and honor its students who died in Vietnam. Image from the Courier Post newspaper May 29, 1971. 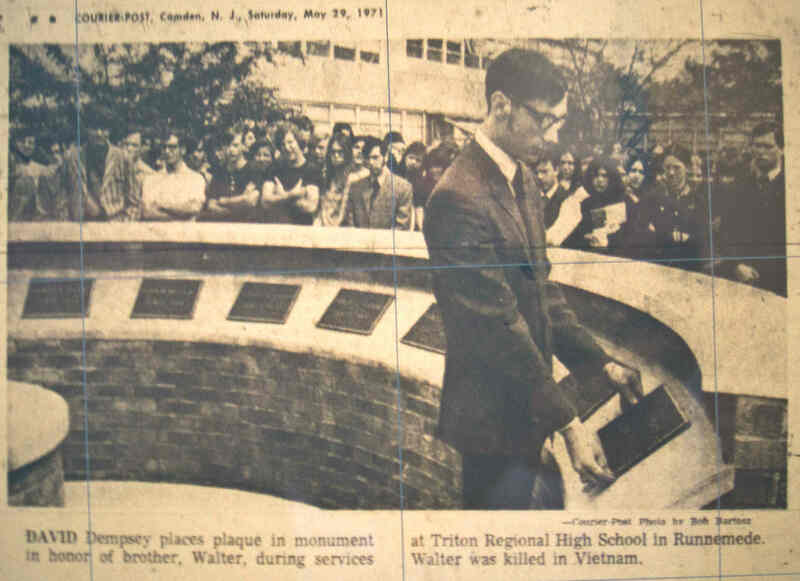 It shows David Demsey placing a plaque on the Triton Memorial to remember and honor his brother Walter who died in Vietnam. This commemorative ceremony has taken place at the memorial every year since 1970. Triton High School principal Catherine DePaul says to this day, they have a school-wide event at the memorial to commemorate the memories of those students who died in Vietnam. They invite the families, local officials, a speaker or two, and they telecast it throughout the school for students who are not in the courtyard at the monument. For the students, it’s a lesson not only in history but also in how a community remembers and honors and cares for its own, year after year. And Jim Haley is one they care for. Another public commemoration turned into a very personal one for Jim Haley. He doesn’t remember the details, but somehow a chalice was created in John’s memory. The family gave it to St. Teresa’s church, and they said it could be kept in the sacristy and used by priests for Mass. Years later, Monsignor Jess, pastor of St. Teresa’s retired and left. Jim said he was surprised when Monsignor Jess called and asked if it would be okay if he took John’s chalice with him. That was a gesture of such tender and personal caring that Jim tears up when he remembers it. Monsignor Jess died not long after, and what happened to the chalice is not known; perhaps Monsignor Jess took it along with him on the next part of his journey. 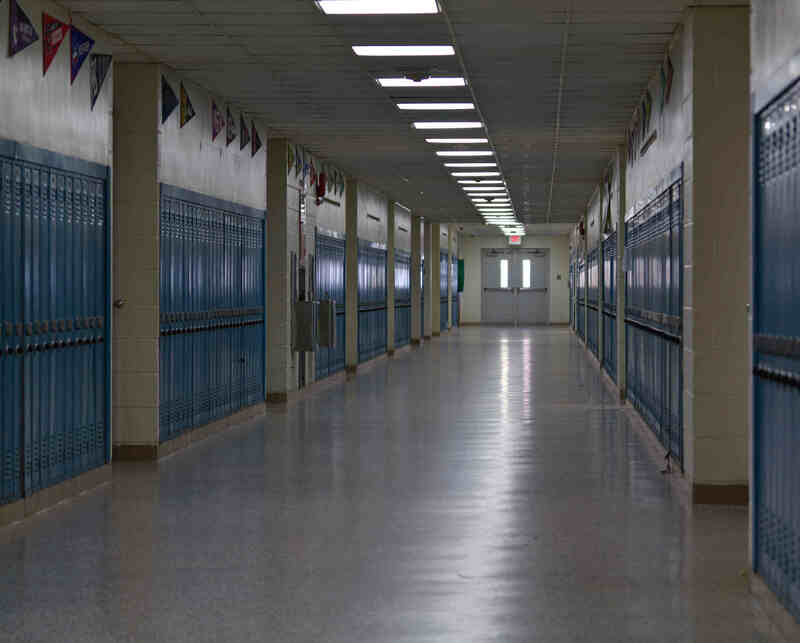 John Haley and others no longer with us walked this hallway at Triton High School. We ache for the lives that never were, the families never built, the children who were never born, the human connections denied. Yet, the power of our memories can sustain us as we imagine those we lost into our lives today. I went to an auto repair facility for a new battery one day last week. As I watched the mechanics at work, I saw John Haley there. Such work may have been his life. And I thought about what was written under his Triton yearbook picture: “Interested in cars…has his own ideas concerning Triton.” A budding mechanic and a budding character! 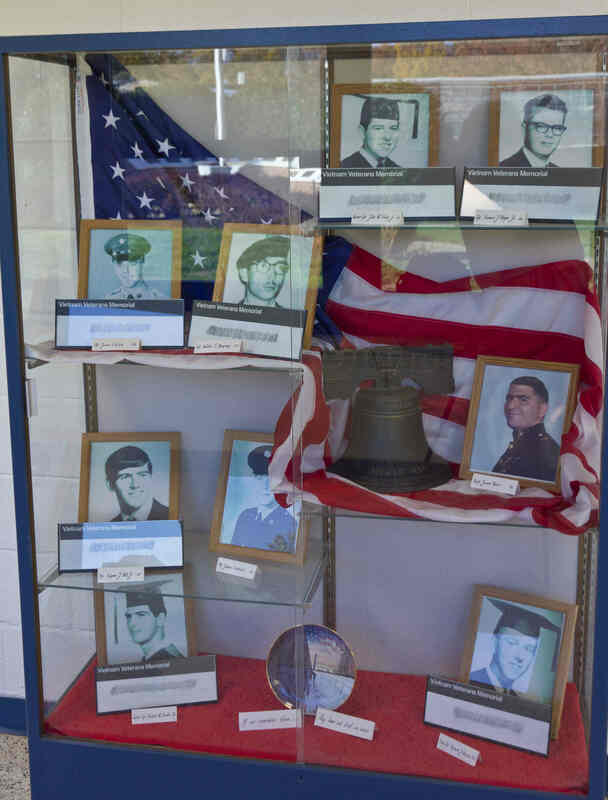 Commemorative display at Triton High School honoring students who died serving their country. Included here is James Reese, class of 1976 who died in a helicopter crash at sea. While taken early from us, they gave much back. Memories of who they were, who we believed and hoped they would be, the very best of them, are locked in time. They were with us long enough to give those things, and no more. Bittersweet it may be, but better the tang of bittersweet than the emptiness of never having tasted. The Runnemede community has perpetually cherished this gift John left for all of us. That, and the power of a caring and supportive community, one like Runnemede, NJ. “Taken from us”? They can only be taken from us if we allow their memory to die. 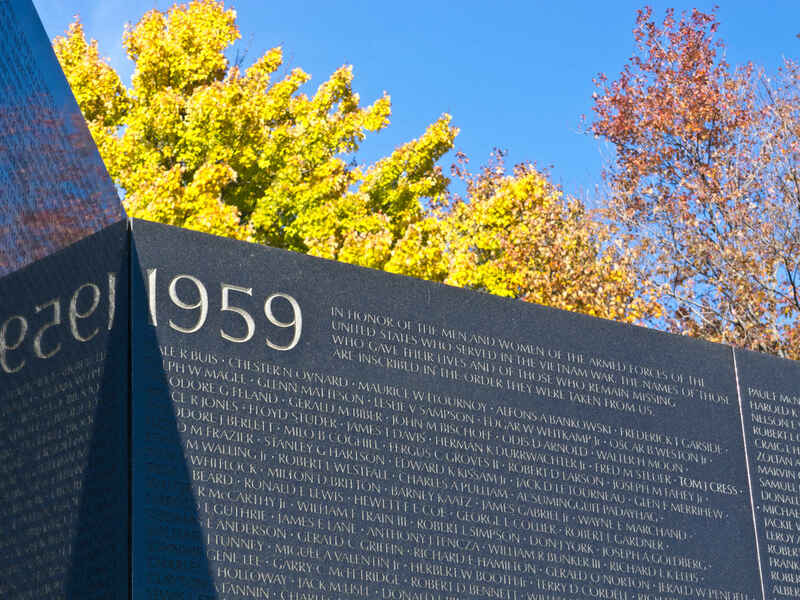 We remember and honor the past with monuments like this Vietnam Veterans Memorial in Washington, DC. We also honor and remember the past by passing hope along to future generations. Triton High School brings military veterans into the school for a Veteran's Day program. 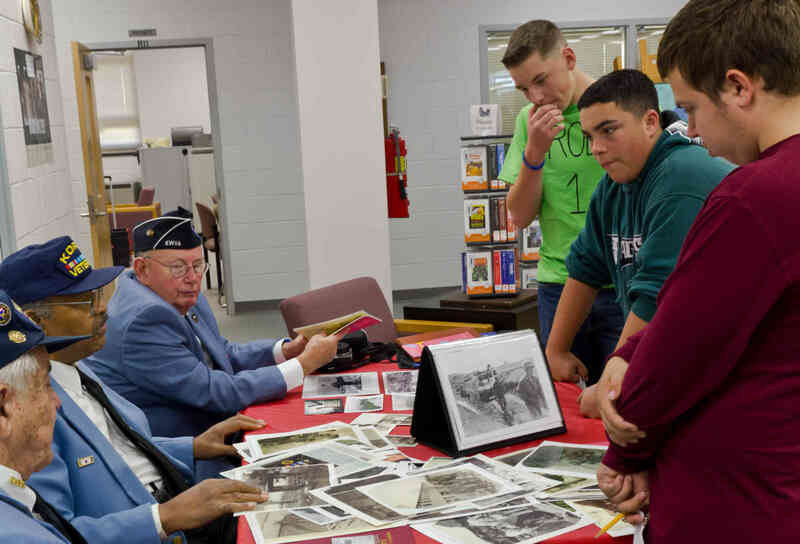 Students can discuss war and peace and everything in between with the military vets. Nice column, Bill. I recently watched “Band of Brothers” for the first time, and think those who send our service personnel off to war should be forced to watch it over and over. In my high school class of almost 300, we did not lose any of our boys in Viet Nam, though many served. Lucky, I guess. Will all who have died in Iraq and Afghanistan be memorialized, do you think? Thank you for doing such a great job in preserving the memory of these special men who made the the Ultimate sacrifice in the Vietnam War. You’ve honoured those brave young men and their families with this piece, Bill. Good work. Thanks, Bill, for your service to your country, your hometown, Triton High School, and the imperative of memory. Thank you and congratulations! You have completed a project that you have been passionate about for some time. I know this piece has touched hearts and will perserve important memories for many in the Runnemede community and Triton High School. 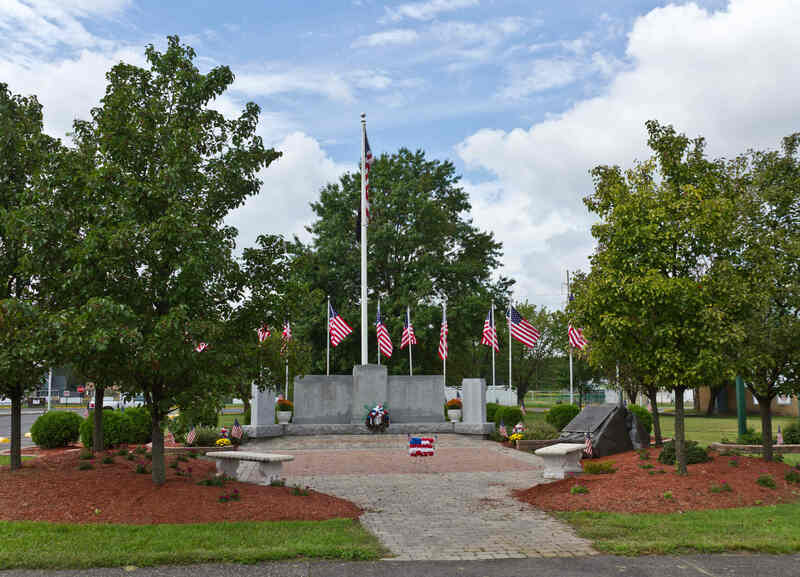 I hope you will be a guest at this year’s Memorial Day ceremony. Bob Lazaro and I were in the same home room all four years of High School in Triton and we graduated in 1965. He was the first person I knew who died in Vietnam and from Triton. I have been to the wall in DC and traced his name all three times I was there. Andy Kozak, class of ’65. from Bellmawr.